Huawei has finally taken the wraps off its first flagship phone of 2019, and it’s a beauty. 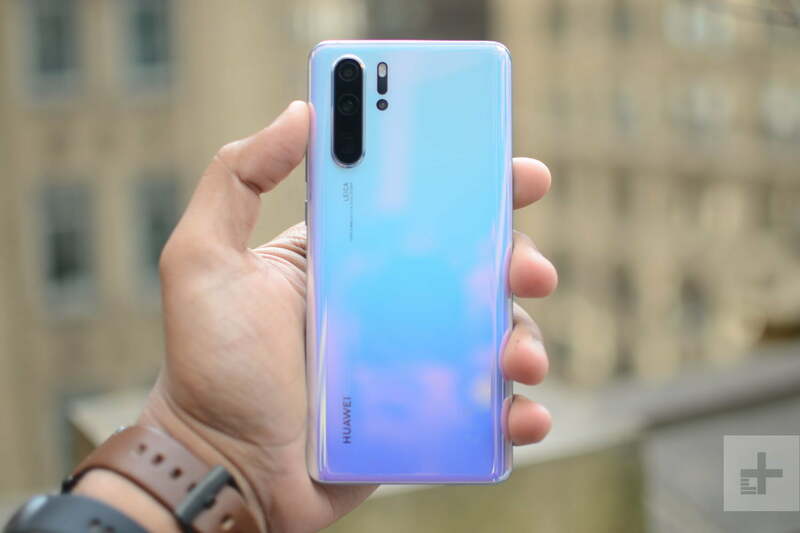 The Huawei P30 Pro is a stunning device with four camera lenses, a beautiful design, and some new software tricks. But it has competition, and the Samsung Galaxy S10 Plus is one of the best phones in the world right now. The P20 Pro and Galaxy S9 Plus came to serious blows last year, with Samsung’s phone coming out on top. Can the S10 Plus repeat that feat, or will Huawei’s new flagship take down the Korean titan? We pit them in a head-to-head specs comparison. The P30 Pro has been upgraded with the Kirin 980 from the Mate 20 Pro. It’s a powerful piece of hardware and it will handle all the latest 3D games with ease. But it’s still a processor from last year and our benchmarks show the Galaxy S10 Plus’ scores beating it thanks to the new Qualcomm Snapdragon 855 processor. While both will provide strong and smooth performance, the S10 Plus is objectively the more powerful of the two. Huawei’s flagships have traditionally sported a stronger battery than Samsung’s usually lackluster lifespans, but that ended with the Galaxy S10 range. We got two days of light usage out of Samsung’s biggest new flagship, and it held up extremely well even on heavy days. We expect similar performance from the P30 Pro. However, Huawei still has the lead on battery charging, thanks to the incredibly fast 40W fast charging. The S10 Plus still uses the extremely outdated QuickCharge 2.0, making Huawei’s phone significantly faster. While the S10 Plus is the more powerful of the two, we wager you won’t notice a difference in everyday use. You’ll absolutely notice the much faster charging speed on the P30 Pro. Huawei has pushed its designs to even more stunning levels with the P30 Pro. The front of the device is almost entirely screen, with only a small notch cut into the top of the screen. The back panel has an opalescent quality on colors like the pearl white, and there’s a stunning new color called amber sunrise; even the standard colors are beautiful. But the S10 Plus is no ugly duckling. It has a similarly impressive screen-to-body ratio and uses the new hole-punch camera to eliminate the notch. Whether you prefer the notch or the hole punch is ultimately down to personal preference, but we prefer the S10 Plus’ hole-punch style. Both phones come with IP68-rated water resistance, and both have similarly fragile glass bodies. A protective case is, as always with glass phones, highly recommended. These phones are at loggerheads on design and durability, so we just can’t judge them fairly. While there’s no winner here, no one who picks either of these is going to feel like a loser. It’s a tie. We haven’t had much time with the P30 Pro’s display, but based on previous performance, we anticipate the 6.47-inch OLED display with a 2,340 x 1,080 resolution will be bright and clear. But the S10 Plus’ 6.4-inch Dynamic AMOLED display is perhaps the best in the world, and the 3,040 x 1,440 resolution is considerably sharper than the P30 Pro’s screen. Honestly, this isn’t much of a competition. You’ll find three lenses on the back of the S10 Plus — a 12-megapixel lens with variable aperture, a 12-megapixel telephoto lens, and a 16-megapixel ultra wide-angle lens. The range of lenses makes it extremely versatile and though it’s not our favorite camera phone, it’s very capable and takes great shots. There are also two lenses around the front, a 10-megapixel and an 8-megapixel lens. It takes strong selfies. The P30 Pro is looking set to be a camera powerhouse, too, and it comes with four lenses. There is a 40-megapixel Huawei SuperSpectrum main lens, a 20-megapixel ultra wide-angle lens, an 8-megapixel optical telescope zoom, and a time-of-flight camera for more accurate background blur. According to Huawei, the main lens is capable of taking in up to 40 percent more light than previous lenses, so it’s set to be a low-light snapping machine. There’s only one camera around the front, but it’s a huge 32-megapixel lens. We need more time with the P30 Pro’s extensive range of lenses, so we don’t feel we can judge this yet. Judging how much we loved last year’s P20 Pro, we’re leaning toward the P30 Pro here for the win, but until we can do further testing, this is a tie for now. If you’re a fan of stock Android, these aren’t the phones for you. Both use customized manufacturer skins, and while neither are our favorite, both Huawei’s EMUI and Samsung’s One UI are a lot better than they used to be — and both run the latest Android 9.0 Pie. But don’t expect speedy updates from either manufacturer. Both companies historically struggle with new versions of Android due to their extensively modified UIs. Major OS updates can take upwards of six months for even their latest phones, so while you’ll get Android Q and Android R on both, don’t expect to get them quickly. Definitely ones to avoid if you love being on the cutting edge of software features. We do think Samsung’s One UI is a lot easier to use, and a lot less cluttered than EMUI. Samsung has simplified the software greatly and settings are easy to find. Huawei’s phone still requires a little digging to properly set up the way you want. There is no shortage of special features on either of these phones. The Galaxy S10 Plus’s biggest new addition is undoubtedly the ultrasonic fingerprint scanner beneath the display. It’s not the fastest fingerprint scanner ever made, but it’s the best in-display one we have tested so far. 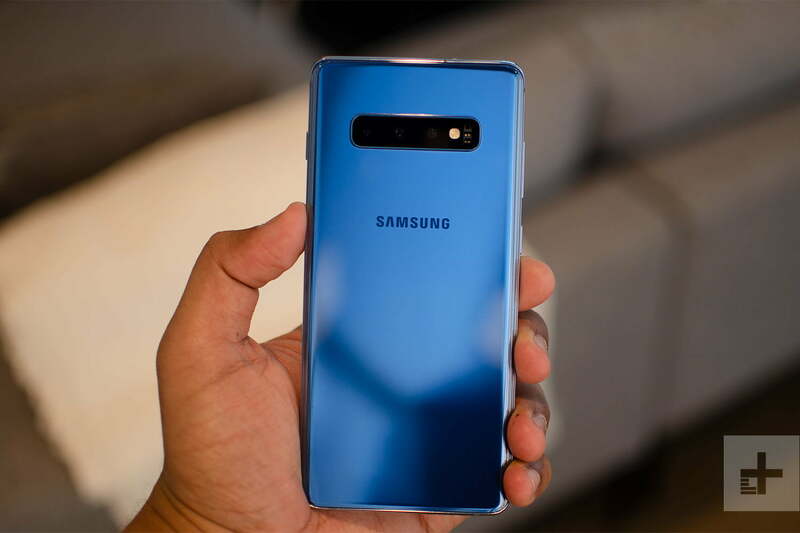 Aside from this, you’ll also find the reverse wireless charging PowerShare that allows you to charge other Qi-compatible phones, the virtual assistant Bixby, Dex desktop mode, Gear VR support, and various A.I.-enhanced areas like the camera’s Shot Suggestions. The P30 Pro has an in-display fingerprint scanner, too, but it merely takes a picture of your fingerprint, so it’s not as secure. But the P30 Pro holds up in other area, and includes a similar desktop mode when plugged into a monitor, a similar reverse wireless charging feature, a large amount of A.I.-powered features, including A.I.-stabilized long exposure shots, the ability to open certain Audi cars (for some reason), and data-syncing with certain brands of treadmills. If you own a Huawei laptop, there are a lot more things you can do through a feature called OneHop, such as copying text on the laptop and pasting them on the phone. Both phones have too many special features to do them all justice in this article, and we encourage you to do more research and pick based on which features most attract you. The Samsung Galaxy S10 Plus is currently available and starts at $1,000. It can be bought from all the major carriers, but you can also buy it unlocked from a variety of retailers. The Huawei P30 Pro is available now. Prices start from 999 euros ($1,128) for the 128GB model and go up to 1,249 euros ($1,410) for the 512GB model. In the U.S., it will only work with T-Mobile and AT&T, and you need to import it, as it won’t be officially available. While some elements of this tough battle are still unknown, the Samsung Galaxy S10 Plus just has the edge over the Huawei’s P30 Pro in our initial estimates. However, key elements like the camera and the usefulness of the P30 Pro’s special features still up for debate, so keep in mind this verdict could easily change in the future. We wouldn’t use that as a reason to hold off on buying either phone if you’re really into them. Both are beautiful, powerful phones with extremely capable cameras, a multitude of special features, and enough longevity to act as your pocket pal for at least the next two years. Buy either one and you won’t be disappointed.